6. Gun gun (party song which vijay. 7. India en desam(little song). 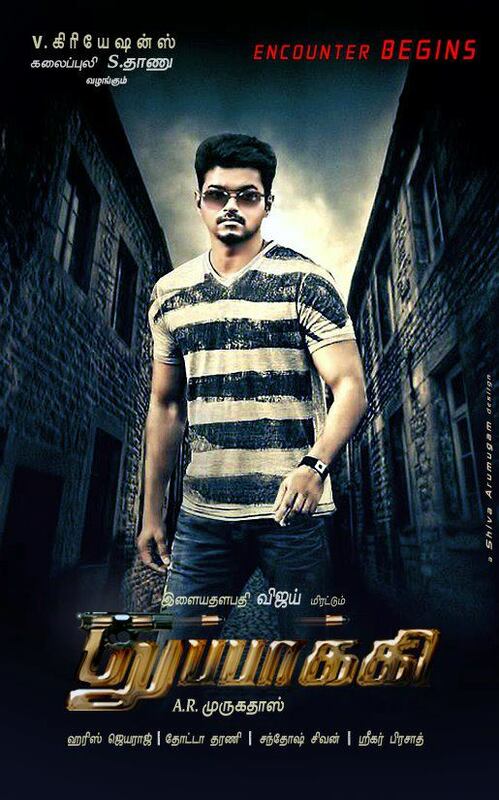 Murugadoss promises vijay fans that their favourite Ilayathalapathy wil look as hansome as ever in Thuppakki . The director is particularly working on Vijay and Kajal Agarwal’s in the film. The on-location stills of the film are already out and the crew is currently in Mumbai , on a back –to back shooting schedule. 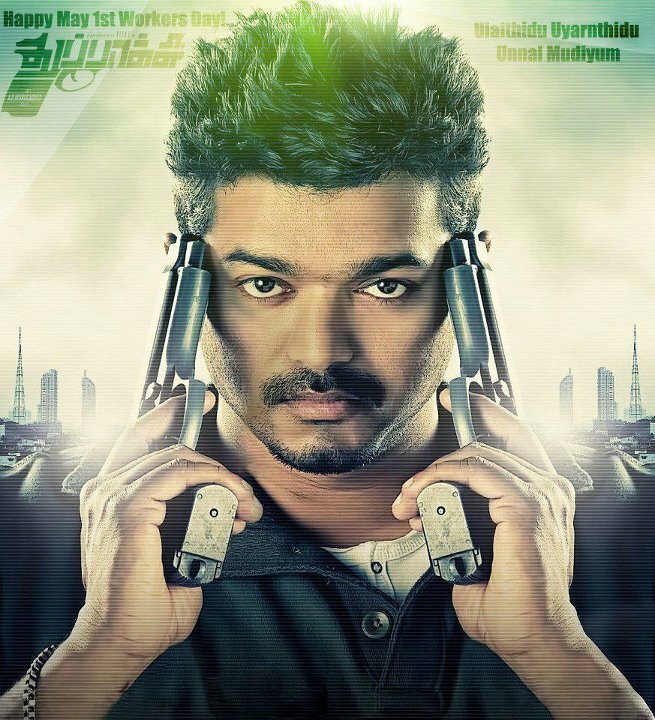 Ilayathalapathy Vijay’s Thuppakki movie shooting is almost 60 percent over. The next shooting schedule of Thuppakki will start from April 12th in Mumbai. Currently Director A.R Murugadoss is working on Thuppakki First Look in chennai and it will be released on April 13, Tamil New Year. Thuppakki features Vijay and Kajal Aggarwal in lead roles while Jayaram, Sathyan plays character roles in the movie. Harris Jayaraj has scored music for the film while cinematography is handled by Santosh Sivan.